The villages in Piedmont seems to have magic in the air, and they hold a special place in my heart. Even the clouds are better in Italy. I am convinced of it. They are the type of white voluminous clouds that look like they were painted into the sky. When I mentioned this to our tour leaders they laughed, but I know that they would believe me if they saw Chicago’s dense grey clouds that block out the sun for days at a time. Not only are the clouds whiter, fluffier, and happier looking, the land is greener. 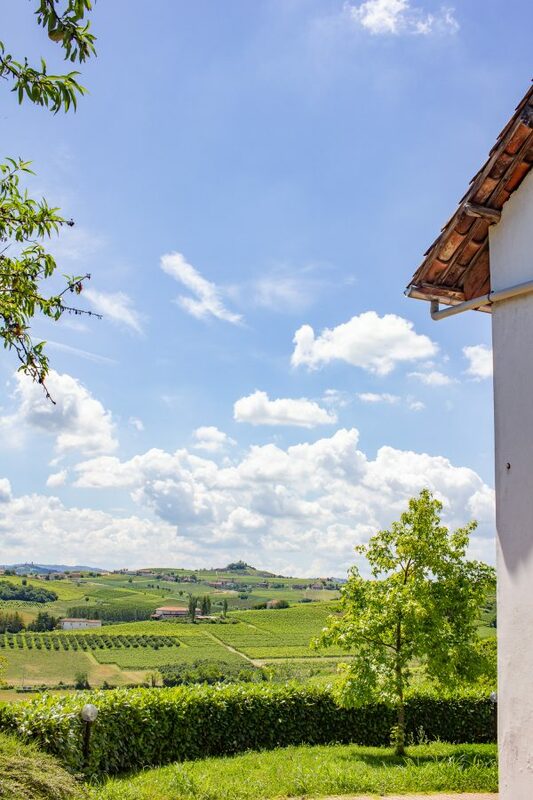 The hills of Piedmont are screaming green. Every inch that isn’t occupied by a home – or castle – is covered with perfectly straight rows of grape vines, hazelnut trees, or grass. The land is alive, and it gave me life after suffering through what must have been the rainiest and coldest “spring” in Chicago history. When I told friends that I was traveling to Piedmont, they looked confused and then asked where I was going again. Piedmont’s name gives away it’s location. It translates to “foot of the mountain”, and the region lays at the foot of the Alps in Northwest Italy. 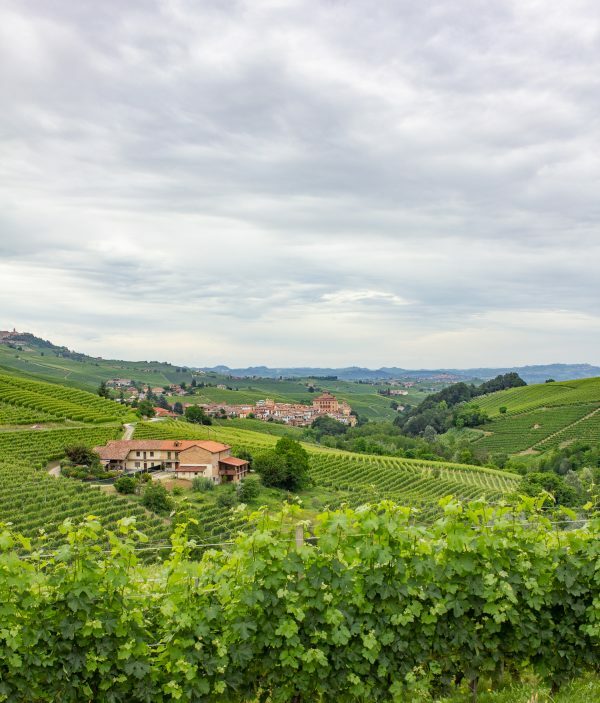 You may be more familiar with Langhe which is within Piedmont. 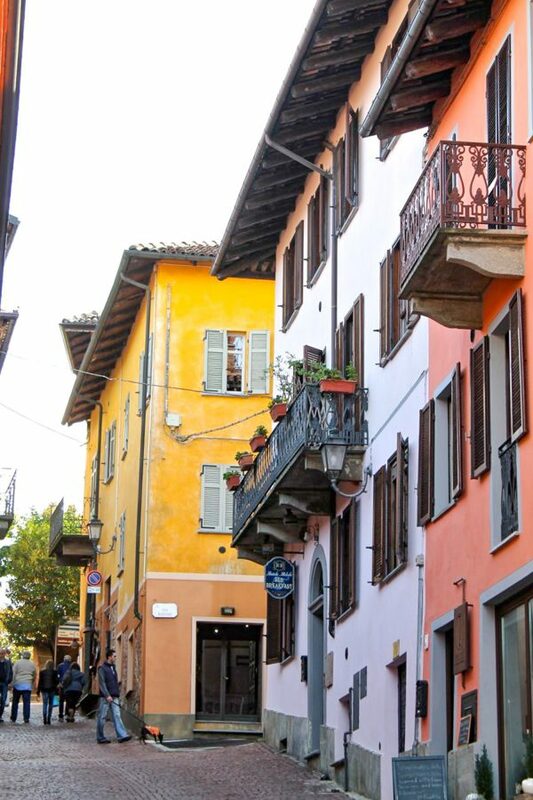 The fact that tourists tend to overlook the villages in Piedmont is a blessing for travelers. It is a place to experience Italian food and culture away from the crowded cities. 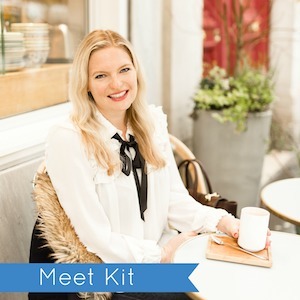 You will dine in restaurants and walk along streets beside locals, instead of in crowds of tourists. The cruise ships do not go to Piedmont (it isn’t on the sea and it is too far from the shore for the cruise ships to bus people in) and Piedmont isn’t filled with businesses that exist for the purpose of tourism. Piedmont is real and unspoiled. You can get an authentic look at the Italian way of life. What is remarkable is that these tiny and often overlooked villages in Piedmont contain so much beauty. 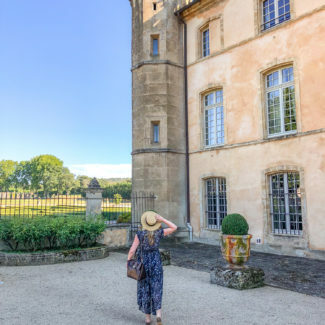 You will discover castles, grand cathedrals, windy roads lined with pastel colored homes, views of lush vineyard covered hills, and valleys filled with hazelnut trees. Most villages in Piedmont are at the top of hills, which historically gave them protection. Towers in each village were used to signal nearby villages of potential attack. I have an appreciation for visiting places that are not typical tourist destinations. 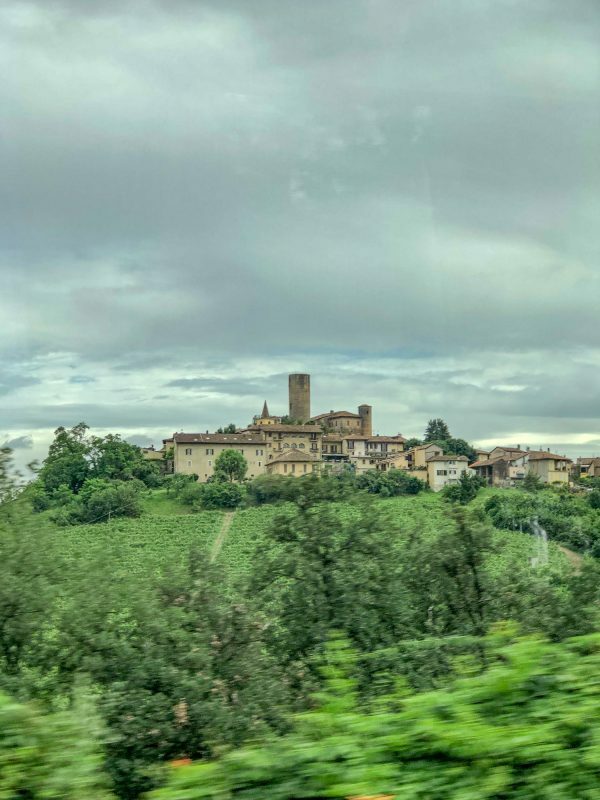 I am not saying to skip Italy’s grand cities like Florence, Venice, and Rome, but I would like to suggest adding someplace like Piedmont, where the way of life hasn’t been changed by the tourism industry, to your itinerary. I have visited Piedmont twice. Once during truffle season in October, and again three years later in June. Both times I felt like one of the only tourists around. Even the other guests at the hotels were business travelers and not tourists. This makes Piedmont even more appealing to me. 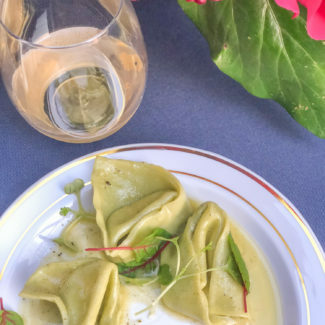 There in one more compelling reason to add Piedmont to your Italy bucket list: the food. Piedmont is an important center of food production steeped in history and tradition. 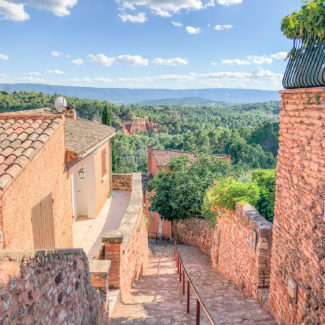 It is the birthplace of the Slow Food movement, and home to an astonishing 39 Michelin starred restaurants. It is where you can find Barolo, White Alba Truffles, and Nutella. 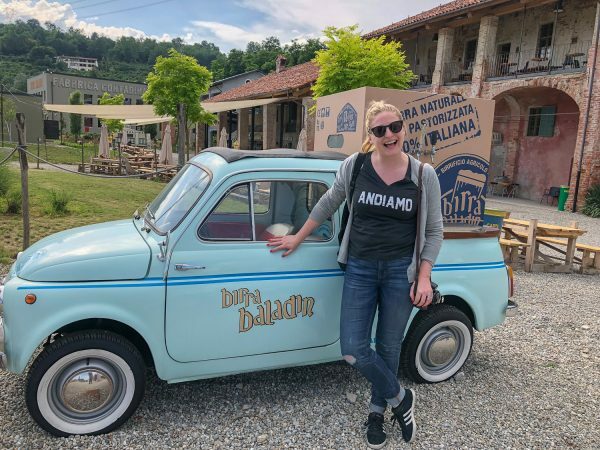 But since I have already written about the 25 foods to try in Piedmont, today I am going to tell you about the villages in Piedmont to visit. This town is high up on a hill giving visitors never-ending views of the vineyards below. Castiglione Falletto is home to the Vietti winery, one of the most well known wineries in the area. 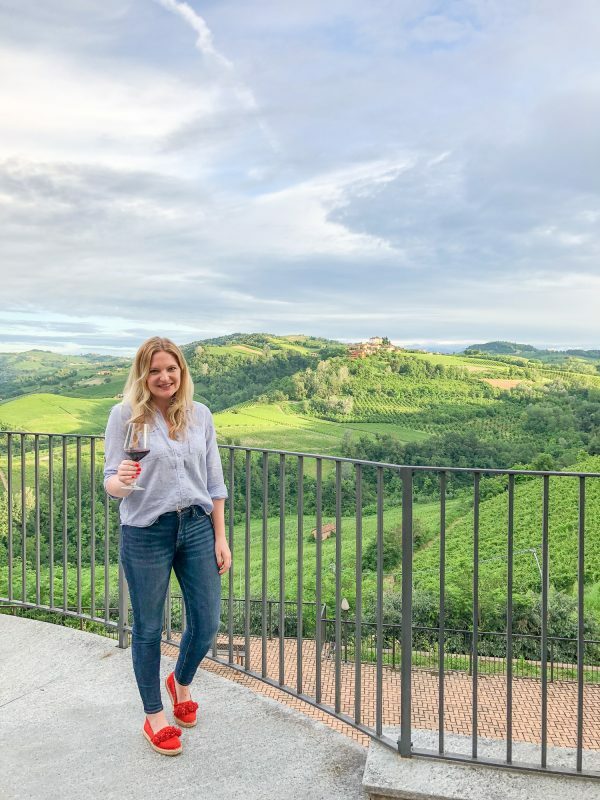 We had a tasting at the Cantina Comunale di Castiglione Falletto, a communal wine cellar with a terrace offering views that can’t be beat, and a place to taste wine by different producers. This is one of the bigger villages in the Langhe region. Many of Langhe’s tiny villages have just 500-2000 residents, most of whom work in the wine industry. Monforte d’Alba has 2000 residents and more hotels and restaurants than other towns in the area, and it would be a great place to stay. When I visited the town in 2015, we dined at Le Case Della Saracca, a hotel and restaurant in a medieval stone building. Saracca has the most incredible happy hour where they line the bar with cheeses, meats, olives, and other snacks, you should make a point to check it out. Of all the villages in Piedmont that I have visited, La Morra is more touristy, but when I say that, take it lightly. All I mean is that it was the only town I visited where there were other tourists, but there were not many of them. La Morra is the highest of Langhe’s villages and it has some of the best views. 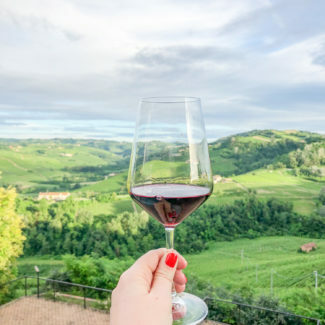 This town produces half of all the Barolo, so it is a great place to go for a tasting. And be sure to stop by the colorful Cappella del Barolo art installation. Barolo is one of the only towns in the Barolo region that is not on a hilltop but in a valley. 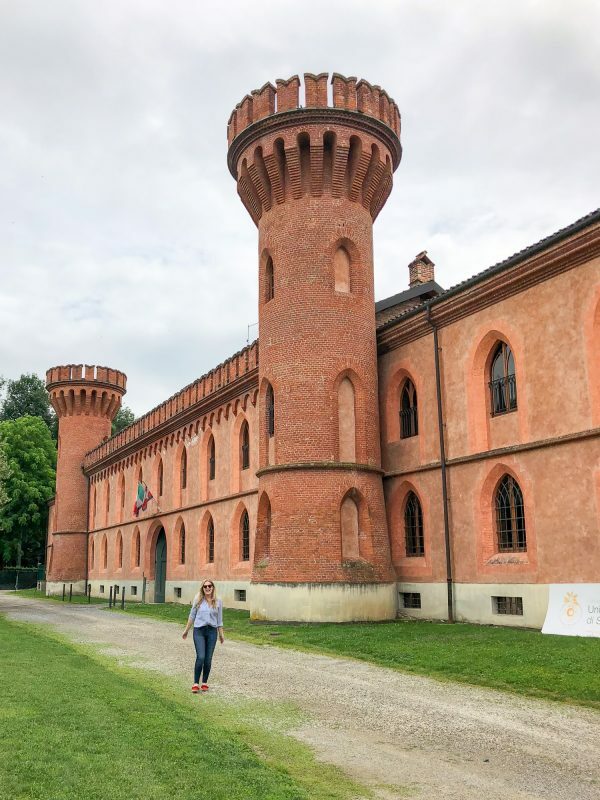 It is home to just 750 inhabitants, Castle Falletti which dates back to the 10th century, and a corkscrew museum. 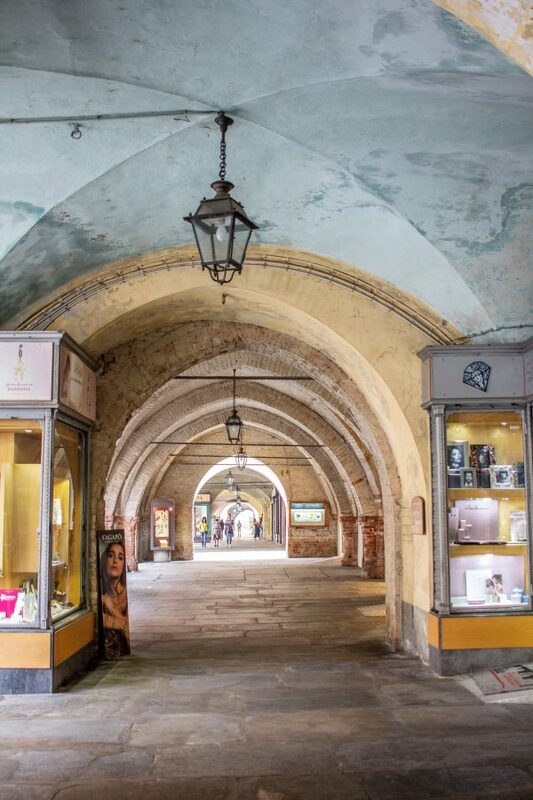 Since the town shares the name with Barolo, the king of wines, it is a popular place to visit for wine tastings. Pollenzo is a parish within Bra and home to Albergo dell’Agenzia a wonderfully affordable and beautiful hotel housed in a Neo-Gothic castle. 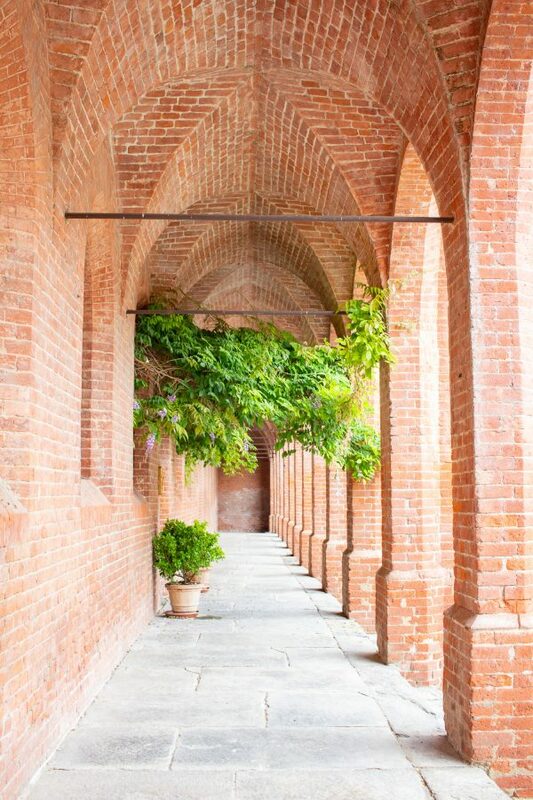 Pollenzo has all the elements of a village in Piedmont, a cathedral, a tower, and a castle. It is also home to Slow Food and the University of Gastronomic Sciences. This means that this tiny town is at the center of the movement to bring back the real value in food and to produce it in harmony with the environment. The hotel is home to a fantastic restaurant and a wine bank. We stopped in this town to have lunch at Cascina Rosa, a restaurant and organic farm. 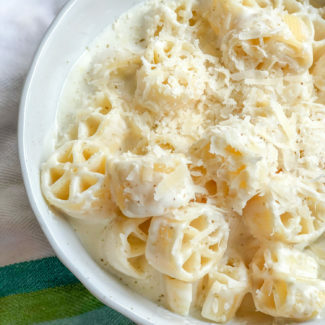 We had an incredible lunch of Russian Salad, Squash Blossoms, and Gnocchi with Castelmagno Cheese. This was our home base for the first few days in Piedmont. 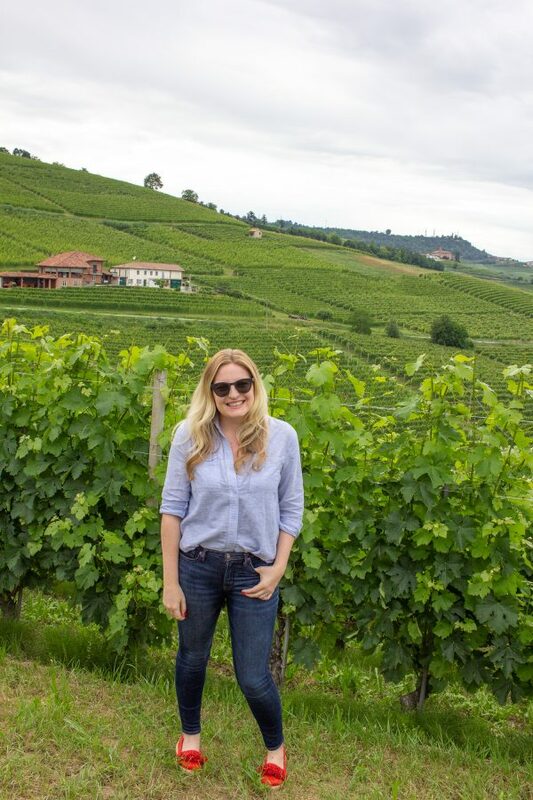 It’s location made it an easy jumping off point for day trips to the Barolo region. 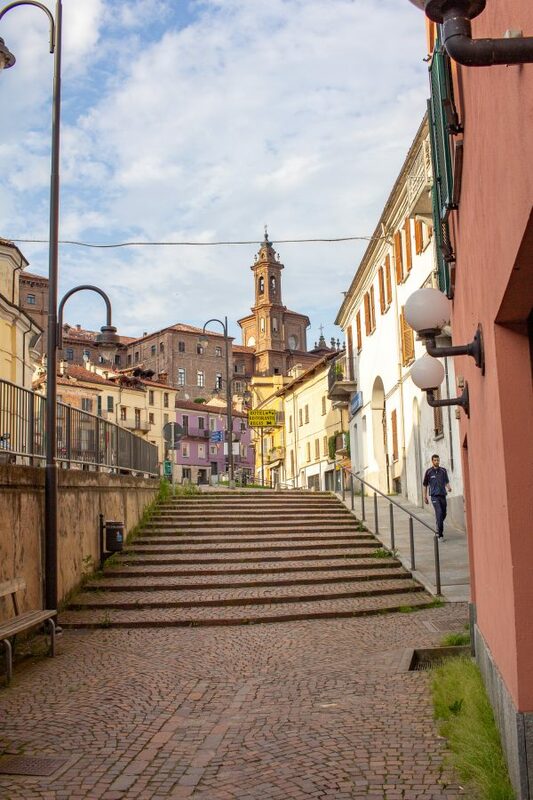 Fossano is a medieval town with a large castle beside the ancient city walls, that is home to 25,000 people. It does feel bigger than the other towns that we visited, it was more lively with sidewalk cafes filled with people sipping wine in the evenings. 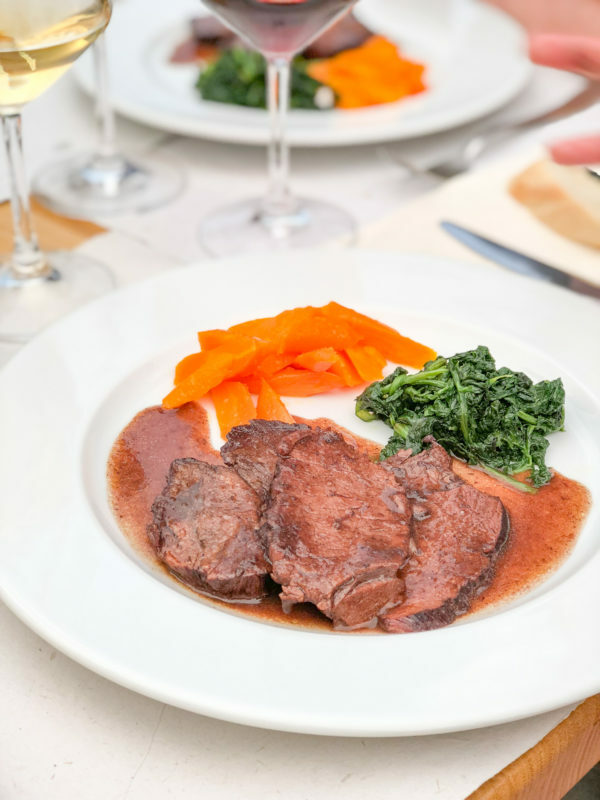 We stayed at Palazzo Righini, a beautiful boutique hotel in a converted monastery with an excellent restaurant were we feasted on bra sausage, risotto with burrata, and veal cheeks. Alba is most famous for their white truffles. In October and November the town hosts the International Fair of the White Truffle of Alba which draws large crowds. 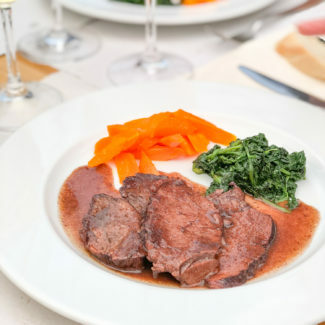 Alba is also home to Ristorante Piazza Duomo, a 3 star Michelin restaurant and one of the 50 best restaurants in the world. This town is the home of Baladin Beer, you can find the original pub with circus themes decor in Piozzo’s downtown. Outside the center of town, a short drive away, you can find Open Baladin – a beer lover’s playground. This is the brewing facility, cafe, farmers market, and event space housed in an old farmhouse. It’s definitely worth stopping by if you need to cleanse your palate after wine tastings. 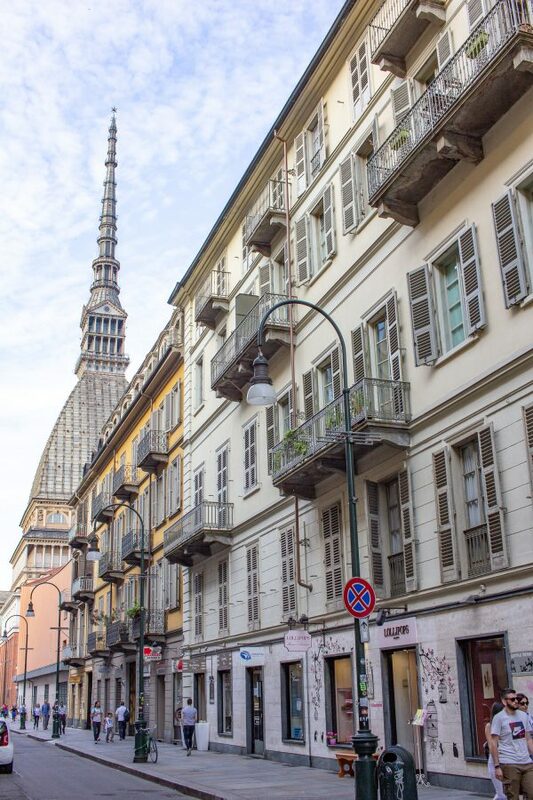 Torino isn’t a village, it is the regional capital of Piedmont and it was Italy’s original capital. I wanted to give it a mention here because chances are that if you are traveling to Piedmont you will be flying into Torino. I didn’t know what to expect, but I was pleasantly surprised by this city whose streets are lined with trees and those sidewalks are filled with restaurants. It’s urban but approachable and definitely worth exploring for a day. My trip to Piedmont was sponsored by True Italian Taste, all opinions are my own. 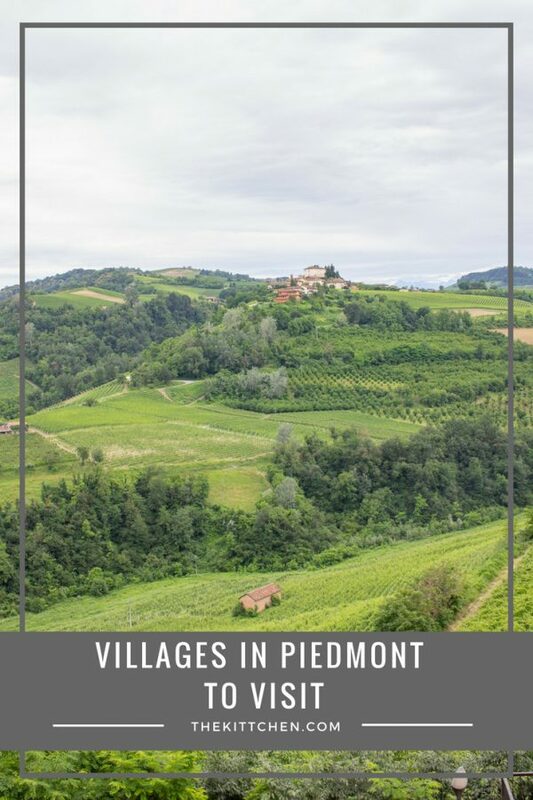 Have you been to Piedmont? 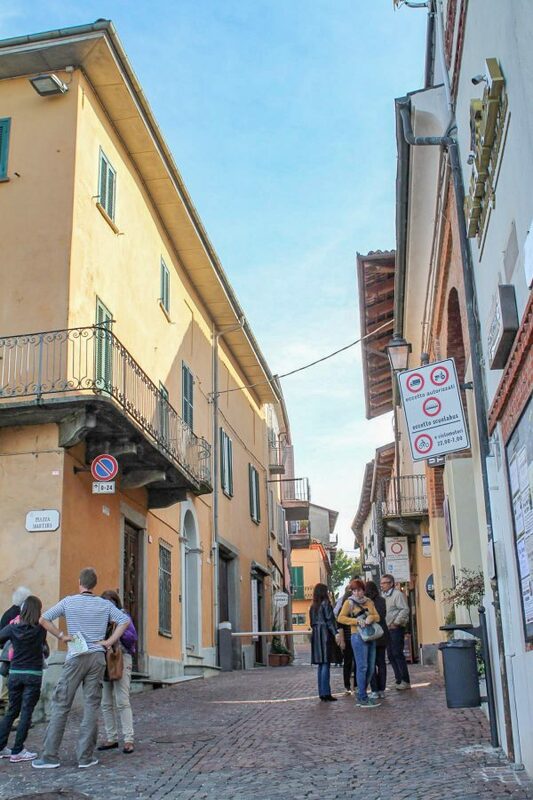 Is there anywhere that you have been that I missed in my list of villages in Piedmont?